Humble and warm, Malique is a young man who's going to make a difference in the world. 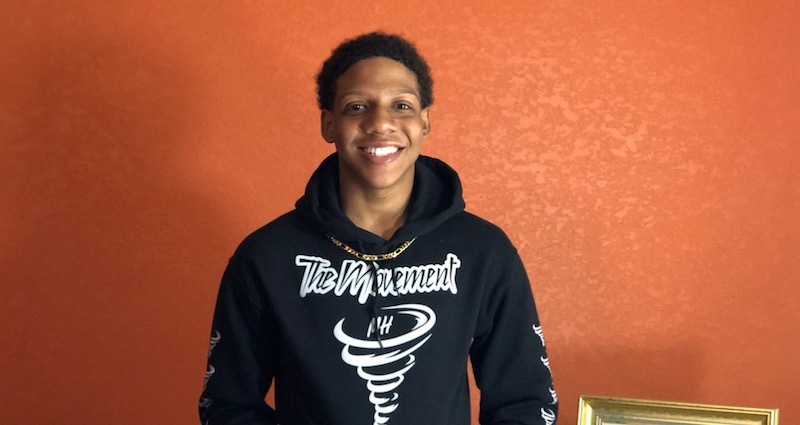 Malique Hawkins is graduating from the STEM Academy at Grassfield High School with a 4.4 GPA, a 1440 score on his SAT, and a combined total of $1.2 million in college scholarships, offered from 15 of the 16 schools he applied to. At just 17 years old, he feels overwhelmed but humbled at the opportunities that he has received. 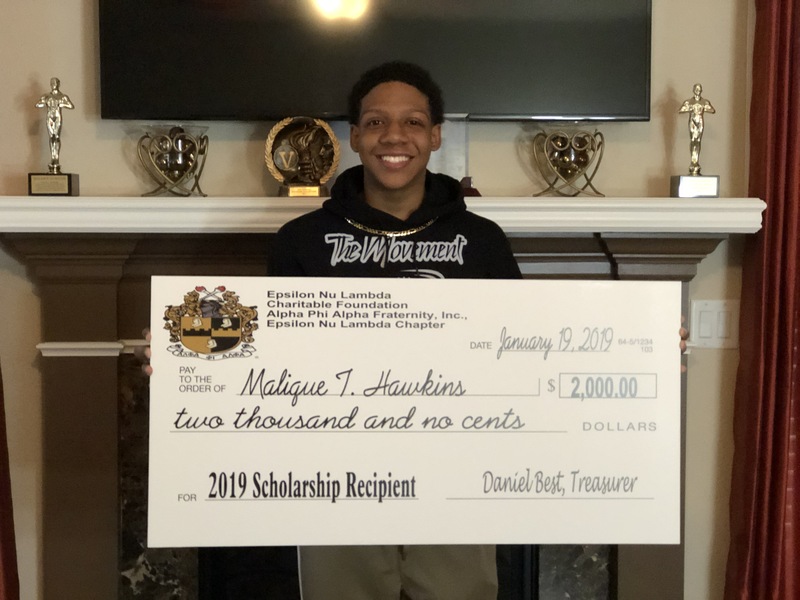 But in addition to all of his academic achievements, Malique is a very busy individual who is acting, doing public speaking, and running two YouTube channels, along with running his own clothing line (The Movement). One t-shirt at a time, Malique wants to spread a message of positivity and take a stand against bullying, racism, suicide, and violence. His main goal is to make a positive impact on the world and be an influencer for others. OCN had the chance to sit down and talk with Malique about his hard work and the $1.2 million he's been offered in college scholarships. OCN: What sparked your interest to apply to 15 different colleges and universities? MALIQUE: Some of the schools offered me fee waivers because they saw my SAT scores and my GPA, so I didn't have to pay anything. It didn't really hurt anything to apply, and I also wanted to keep my options open. I toured most of the schools I applied to. But there are so many schools in America. Once I saw what schools I could get into, I applied, and then once I got in, I learned more about their programs and what they had to offer. OCN: How did you decide which schools to apply to? MALIQUE: I always knew that I wanted to major in business since my freshman or sophomore year, so I just kind of researched and looked up some of the top business schools. I didn't apply to anything on the West Coast -- that's too far. But on the East Coast, I applied to the top business schools and the schools where there's a good support system, a lot of different connections, and a prime location for business -- ones that present a lot of options for me. OCN: Do you have a particular school in mind? MALIQUE: My top four are North Carolina A&T, High Point University, Georgia Tech, and University of Miami. OCN: What about each of them, specifically your top four, caught your eye? MALIQUE: Miami -- definitely the location; the weather is great, and it's a prime location for business because there are so many celebrities and a lot of businesses there. They have a lot of connections there, and if anyone sees "Miami" on my job application, it's gonna be great. Georgia Tech is one of the top schools in the nation, so just getting into the school is a big accomplishment, and then receiving scholarships from them (Georgia Tech and Miami) is even bigger. Georgia Tech's business school is located on the same street with like a lot of Fortune 500 companies, so it's a great location there. High Point University -- the campus is beautiful, and they focus a lot on leadership and entrepreneurship, and that's what I'm most interested in. So just having the innovation type of mindset going through my focus during college will really help. North Carolina A&T -- they are a great school in terms of business and things like that, but also above all the other schools, it's like a family when you go there so you feel connected to everyone even if you graduated already. You have a big support system of people who know you just because you went to the school. Family, connection, and the environment are what drew me to A&T. OCN: Does the distance from home play a role in the school you want to pick? MALIQUE: To me, it doesn't really matter, but to my parents it does. OCN: Which school offered you the best scholarship? 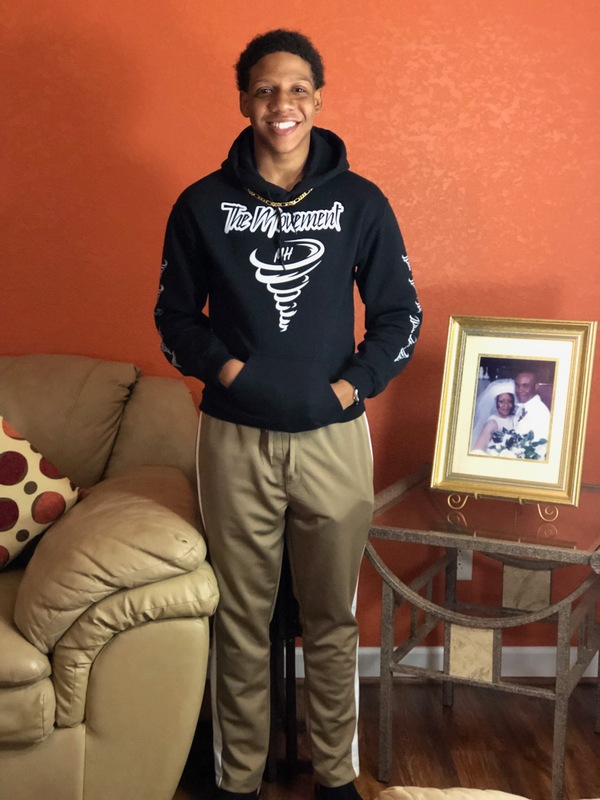 MALIQUE: North Carolina A&T gave me a full ride scholarship covering tuition, room, and board ... all expenses except laundry and books, so basically everything. Food, using the shuttle there, literally everything -- even free mentoring and study abroad -- is paid for. OCN: Do you want to study abroad? OCN: Where specifically would you want to go? Or does it depend on where the class takes you? MALIQUE: It depends on what they have to offer, but I'm pretty much open to go anywhere. I love to travel. This summer after I graduate, we are going to Europe -- always wanted to go to Italy. OCN: What factors about the four colleges matter to you most specifically, the location, environment, program? MALIQUE: I think the top three things that play are money, the feeling at home there, and the connections they have, because college is about the education but more about the experience and the people you meet because that's what's going to project you to the future -- not what you learned from a book. OCN: What are your opinions on your options, specifically the schools you got into or want to attend the most? 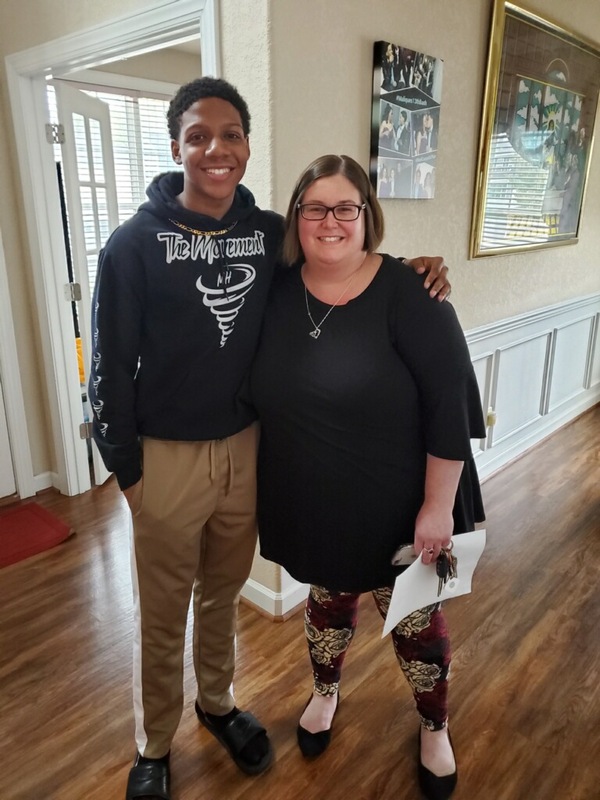 MALIQUE: I'm blessed to have the opportunity to go to any of the 15 schools that I got into, and I'm really excited about which one I'm going to end up going to. Money is going to play a big factor ... I received all of the scholarship packages now. OCN: Which schools have you already visited? MALIQUE: I've been to High Point three or four times, I went to North Carolina and Georgia Tech for their scholarship weekends, and I just went to the University of Miami. OCN: How did you handle juggling school, work, studies, homework, and being an inspirational leader? MALIQUE: So, I've been acting since I was 1 and speaking since I was 7 or 8, and I've been doing my business since I was a sophomore in high school, so I've always been used to doing a lot. So gradually over time I kind of adapted to it. From a young age, I was acting and missing a lot of school since I was on the road, so I've had a lot of practice managing all that. OCN: What's your advice to high schoolers entering the college application game? MALIQUE: My advice would be to get it done as fast as you can and take your tours early. I had gotten all of my tours done -- well, to the colleges I thought I wanted to go to the most -- by spring break of junior year so I had the summer to do more research and start prepping my essays. So when it was time to apply, I just had to submit the essays I had already written. So, my advice is to just get it out the way and as fast as possible so you're just coasting. OCN: What in the business would you like to focus on specifically? Are you looking to own your own business or expand the business that you have now? MALIQUE: I want to major in management with a focus in innovation and entrepreneurship. Even if I don't open my own business I want to be the guy making decisions for a big company, doing the innovation, and making big things change. Regarding my business, I want to continue that and grow it, but I wouldn't be opposed to opening a new business if the opportunity presents itself when I get to college. OCN: Do you have any specific big companies that you wouldl like to work for? MALIQUE: Google, YouTube, Nike ... I would love to be a part of the NBA, doing management for them. OCN: Do you plan to continue playing basketball in college? What position do you play? MALIQUE: I don't want to play on the highest level because of the time commitment -- you don't have time to be a real college student 'cause it's all sport, but I definitely do see myself playing. Stay in the sport but also be able to enjoy the rest of college. I play point guard. OCN: What was your inspiration for doing TV and acting? Was there something in you that sparked your interest? MALIQUE: When I was 17 months old, my parents submitted me to a talent agency to baby modeling, and when I was 18 months old, I booked my first gig which was a role on a TV show, FBI Files. I was asked to cry on cue, and I could. Since then, it's become my passion. I've been to New York, Tyler Perry Studios, Nickelodeon Studios, and places in California and Hollywood. I've just loved doing it since I was really young. OCN: Do you plan to continue that while you are in college and after you graduate? MALIQUE: I haven't done it as much since high school started because of AP classes and honors classes and not being able to miss as much school. But, in college, there's definitely a lot of other kids that do acting and film on the side. If the opportunity presents itself to work on any bigger projects, I will definitely be auditioning and see what happens. OCN: Do you plan to keep up with your YouTube channels? MALIQUE: I do plan to keep up with it. I think it'll grow a lot more when I get to college because I'm doing more stuff all the time, so I'll definitely have more things to record, and I'll meet a lot more people. OCN: Do you make your own videos? Are you self-taught in video editing or did you take a course? MALIQUE: Correct. I taught myself. Everything regarding it, I taught myself. OCN: Do you want to be famous? MALIQUE: I'm pretty known in my area I would say, but in terms of being famous, there's pros and cons -- it opens a lot of doors, but at the same time it puts a target on your back everywhere you go. I want to be successful, and if fame comes with that, that's cool -- but if it doesn't, as long as I am successful, that's fine. OCN: What sparked your interest to be an activist and stand up for others? MALIQUE: When I was 7, I started motivational speaking -- I did a Martin Luther King Jr. Day speech competition, and we wrote our own version of the I Have a Dream speech. Since then, I just love doing it. I won crowd favorite at that event, so the next year I did it again, and I think I won second or first place. So after that, I just kept writing and writing, and I went to a summer camp at James Madison University after my sophomore year for a piece called Black Lives Matter. We had to write poetry for a class I was doing, and it ended up being really good, so I presented that piece at different events like gospel concerts, which opened up some major gospel artists and other events. I've been doing public speaking for so long that when I was a Junior, in May of 2017, I came up with the Movement clothing line, which would just be another way to promote what I talk about in my speeches -- social justice and taking a stand against racism, bullying, suicide, and violence. OCN: How do you want to make a positive impact on the world besides your current activism? MALIQUE: So, beyond my speaking and my clothing line, I think just by setting an example. What I'm doing now, going to college and getting these scholarships, I want to inspire young kids that look like me to do the same thing because they may not see somebody else of their skin color doing that or aspiring to be successful ... they might just see what's on the TV or news most of the time. I feel like people being able to see me or other people like me as being a positive role model --I think that's a good way to impact others without doing it directly. OCN: What do you feel that got you to this point besides your hard work, dedication, and your parents? MALIQUE: Besides that, I give all the glory to God. He's been there every step of the way since I was born. I wasn't supposed to make it -- I was born two months early, and I almost died in the hospital. The mini blessings that he's provided through any situation ... I feel like Him, my hard work, and my parents are what got me to this point. Be sure to check out Malique's social media handles: Facebook, Instagram, Twitter, IMDb, and The Movement clothing line. And be sure to check out both of his YouTube channels, here and here! Do you think we got to know Malique pretty well? Is there anything else you would like to know? Tell us in the comments!